After expanding annual brewing capacity by 25 percent to 150,000 barrels earlier this year, the Stevens Point Brewery plans to invest $1.5 million in equipment and infrastructure upgrades in 2014 to meet increasing consumer demand. The 2014 improvements represent the 157-year-old brewery’s fifth major expansion since 2010. Much of the investment is earmarked for electrical and cooling system upgrades. 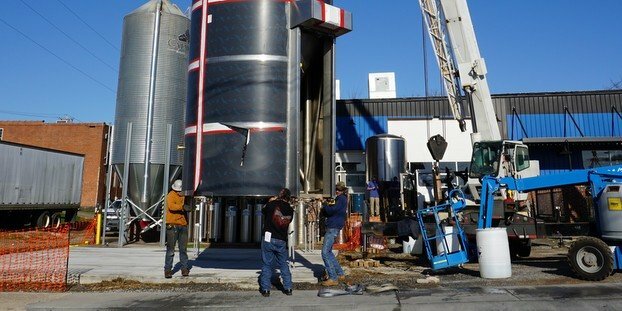 In addition, the brewery will install three more unitanks for fermenting and aging beer, upgrade its bottle filler and purchase 1,000 new kegs for the brewery’s expanding draft beer business, among other improvements. The investment is especially good news for the Stevens Point community because the brewery is adding eight new brewing, packaging, administration and sales jobs, according to Joe Martino, Stevens Point Brewery Operating Partner. The 2014 improvements represent the 157-year-old brewery’s fifth major expansion since 2010. Earlier this year the brewery completed a $2 million project that increased its annual production capacity to 150,000 barrels with the addition of a second brew kettle, 16 unitanks for fermenting and aging beer, and an automated grain handling system. The expansion also included a new can packer so the brewery can take full advantage of consumers’ increasing preference for craft beers in cans. 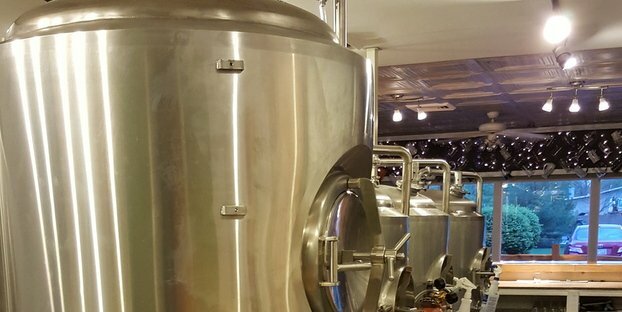 In 2012, the company installed nine unitanks, two bright beer tanks for package release beer, a new hot water tank and a centrifuge for filtering finished beer. In 2011, the brewery added warehouse space and aging and fermentation tanks that boosted the brewery’s capacity to 100,000 barrels per year. The era of expansions began in 2010 when the brewery enlarged its keg cooler room and added aging tanks.